Go to bed tonight and wake up tomorrow and you may not recognize your world. Something really big is unfolding as I go to broadcast.This is a breaking signs edition: President Trump declares that the United States of America will pull out of the INF Treaty that made the world safer for decades since 1987. This is sending shock waves around the world! Is this really happening or am I just day dreaming? Is this the October surprise that we were expecting? 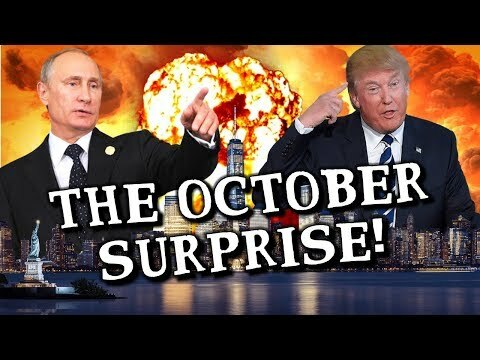 There have been major October surprises in the past on wallstreet etc., but this one is a potential game changer with ominous prophetic overtones. No hype, no sensationalism, no over the top fearmongering necessary, but the bombshell warning from President Trump should send chills down your spine. And yes I will give you my end time prophecies perspective and more. Stay tuned!